Mrs. PvE is a true creative. Her hand drawn and painted illustrations are a delight. And so are her homemade Christmas gifts. There’s something for everyone here — jocks, rockstars on a roll, movie critics, your diva friend… . But most of all there’s a lesson for you and me. 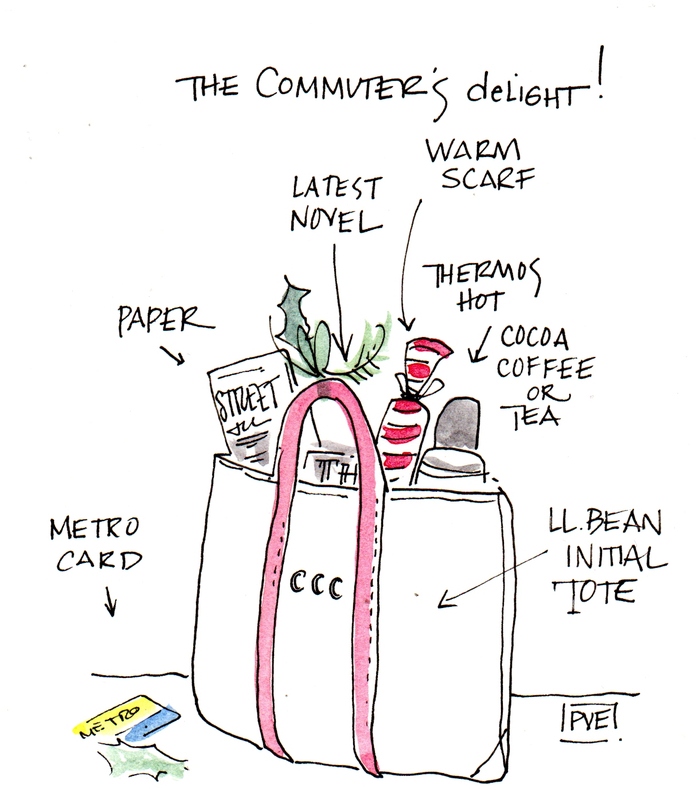 Great gifts begin with a little insight and a lot of creativity. 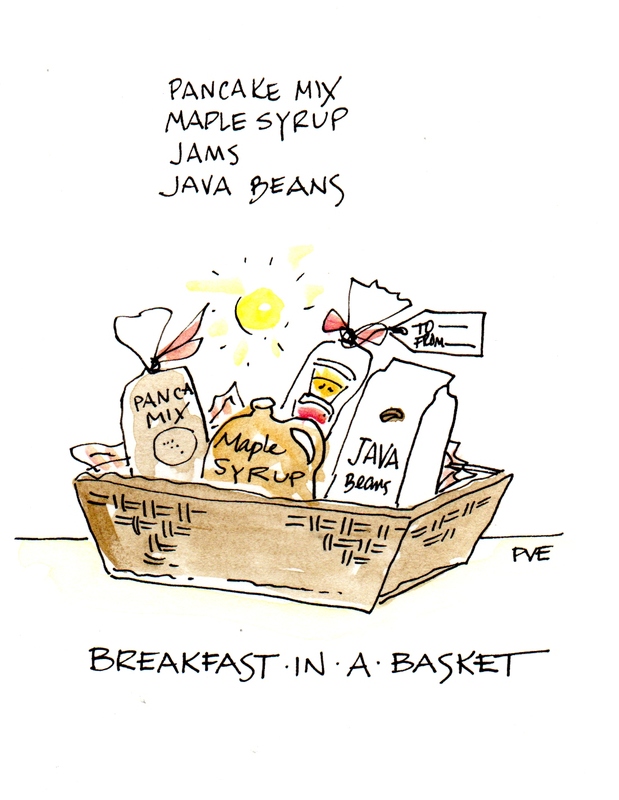 I love to bake cookies and box them, also love making baskets of goodies, “breakfast in a basket”- pancake mix, good maple syrup, fresh coffee, and jams. “Movie Night” popcorn, a dvd, or netflix subs. 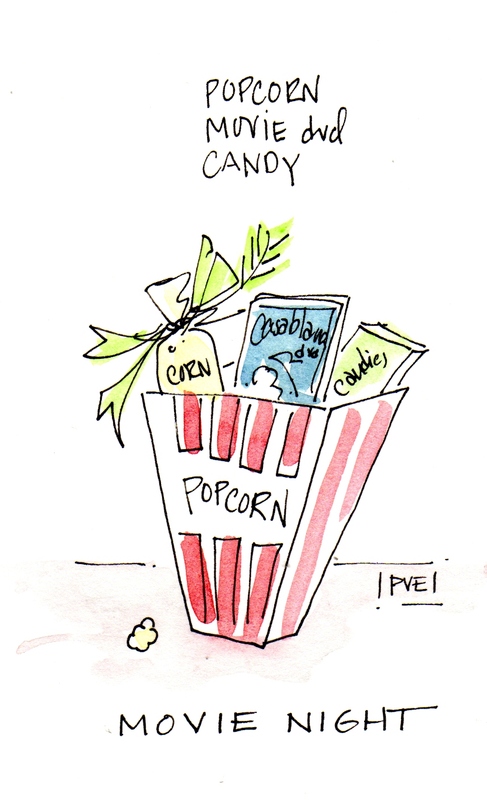 candies…packed in a popcorn box. 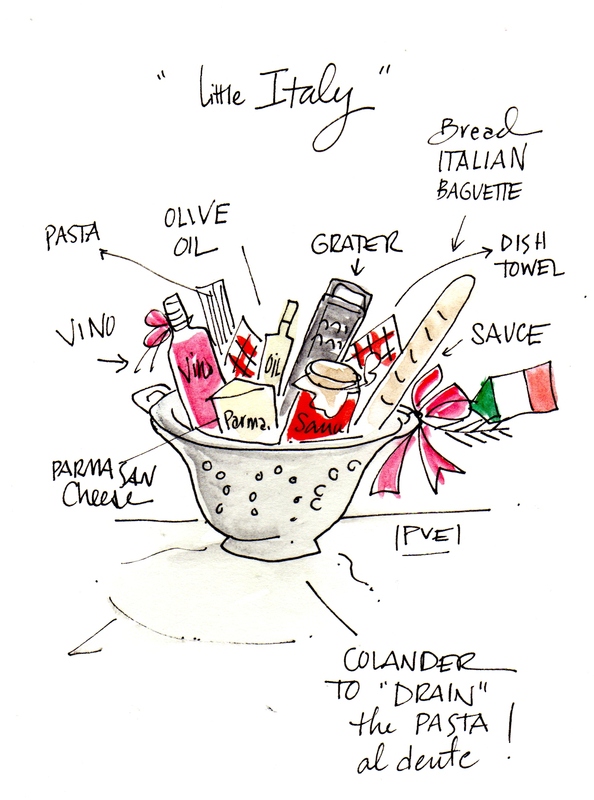 “Little Italy” – really good olive oil, pasta, a great jar of sauce, parmesan cheese, a grater, some yummy red wine and a baguette. I find that people love the creative thought and I try to limit the amount which is easy – I line the baskets with a pretty napkin or pinked edge of fabric and it takes shape… a ribbon etc. Really good kitchen essentials are always appreciated for a well stocked cupboard or pantry. 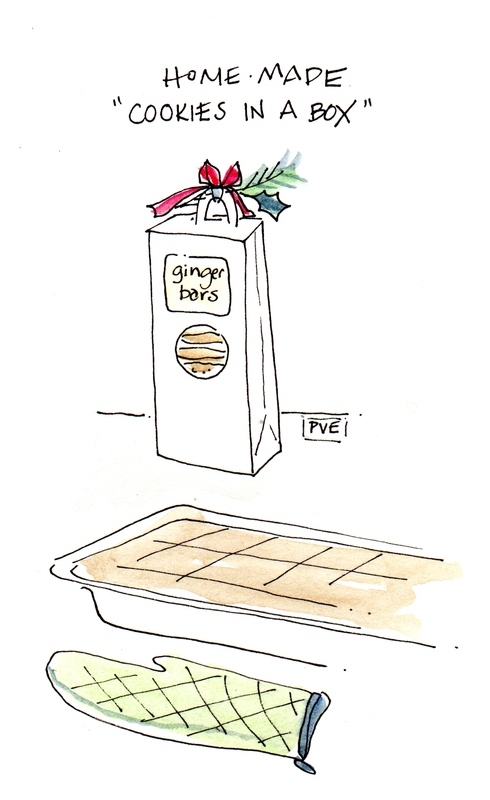 But for those who aren’t the most culinarily inspired… a little help. This entry was posted in 2008 Holiday Gift Guide and tagged 2008 Gift Guide, custom illustration, homemade gifts, PVE Design. Bookmark the permalink.